Hello friends! I have a new collaboration with Scrapbook.com! I am excited to share the new Tonic Studios USA Dream In Color collection available at Scrapbook .com! I used the new Nuvo Jewel Drops, Shimmer Powders, and Crystal Drops from this new line from Scrapbook.com! Idea One: Add drops to the lines and patterns already printed on your paper! The new Honeysuckle Jewel Drops were used along the road in the map paper from Heidi Swapp's new Color Fresh line. It also symbolizes all roads lead to Creativation! The Jewel Drops are translucent, and create a beautiful effect on your pages! This next page in my travel journal for Creativation shows the drops added to the circle pattern on the right side near the tags. This is a simple way to use your drops and highlight some pattern on the layout. 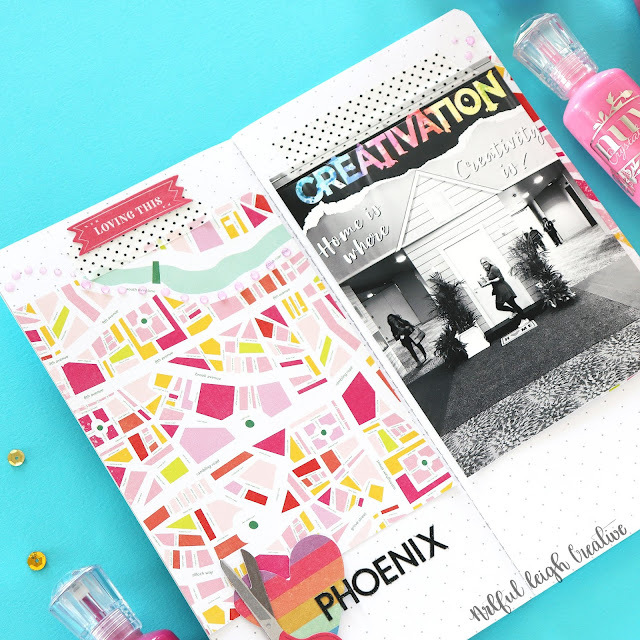 The drops are perfect for your smaller documentation styles like a travel journal, junk journal, mini album, and so much more. 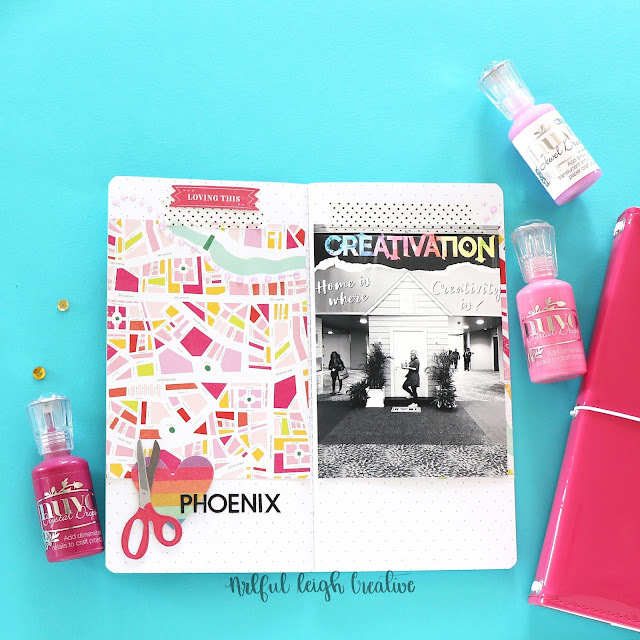 The die cuts on the above pages are from the Heidi Swapp Pineapple Crush line. Here are the links to the new products at Scrapbook.com, if you would like to get your hands on all these yummy colors! Thank you for visiting today, and happy creating!